Hello friends! On this lovely Tuesday morning I thought I would share some of my weekend highlights with you. My first weekend highlight comes in the form of Friday night dinner with my sister and our friend, Greta. At Alexandra's recommendation, we tried the Livermore in Pittsburgh. My main takeaways?Let me just say, the small menu certainly packs a big punch and the dining room could make anyone feel trendy. Small plates encourage sharing which is perfect because everything from dinner to dessert is absolutely delicious. I had the garden salad (above) which was great, while Alexandra and Greta both tried the gemelli genovese which was beyond incredible. I die over this wooden bar with its shelving and books. We all agreed it's very Hey Bartender. On Saturday night, Alexandra and our friends made the trek to Grandview park for an outdoor screening of the Wizard of Oz. I'm using "made the trek" here as a dramatic way to say we just drove up to Mount Washington. 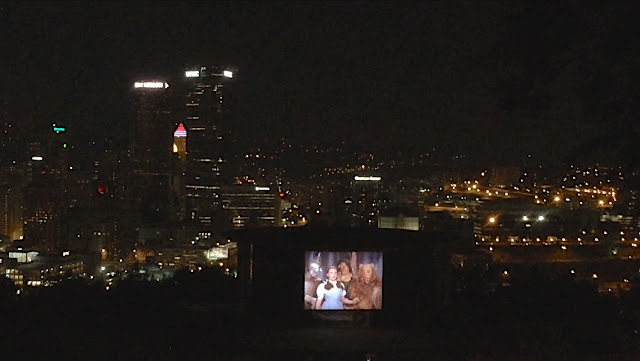 I absolutely love outdoor movies whether they're in Pittsburgh or New York, and while it feels like summer will soon be drawing to a close, both cities still bolster some pretty impressive lineups! 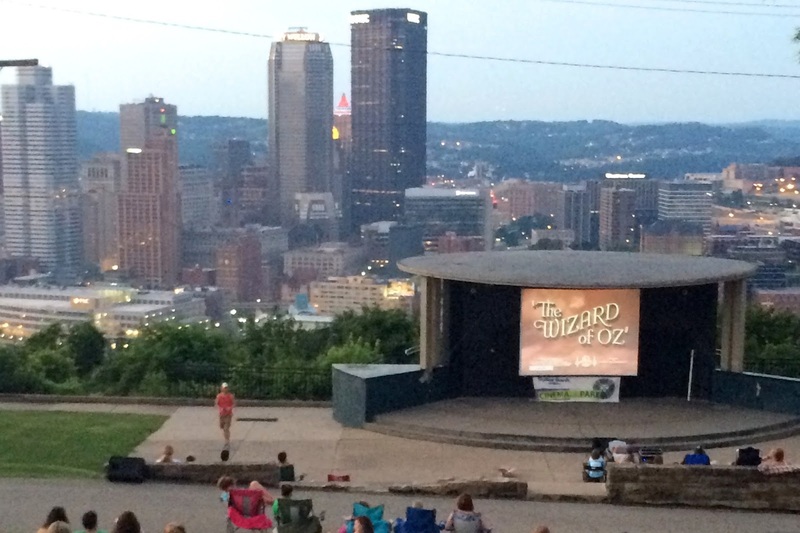 You can find a comprehensive summer schedule of outdoor movies in Pittsburgh here and a New York version here. Watching Dorothy follow the yellow brick road and click her red ruby slippers is definitely better when it's against a sparkling Pittsburgh backdrop. Sunday was a total family day for me involving a trip to Target and WholeFoods followed by dinner at home. It was the perfect relaxing end to a busy weekend. This Wednesday, I'll be heading back to my beloved New York for a few days and the excitement is real. So, get ready for some more city adventures soon!